Shell’s strategy and financial framework are designed to manage through multi-year macroeconomic cycles and multi-decade investment and returns programmes. We balance near-term affordability and cost trends with the fundamentally long-term nature of our industry. Our priorities for cash are servicing and reducing debt and paying dividends, followed by a balance of capital investment and share buybacks. 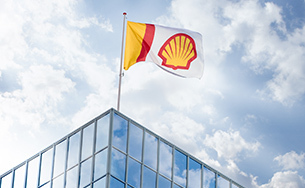 Shell’s dividend distributed in 2018 was $15.7 billion. Our policy is to grow the dollar dividend through time, in line with our view of our underlying earnings and cashflow. When setting the dividend, the Board of Directors looks at a range of factors, including the macroeconomic environment, the current balance sheet and future investment plans. 2018 was a year of strong performance and we delivered against our promises, which is key in delivering a world-class investment case. The company’s progress and the confidence in our financial framework enabled the Board to start the share buyback programme on July 26, 2018. We intend to buy back at least $25 billion of shares by 2020, subject to further progress with debt reduction and oil price conditions [A]. 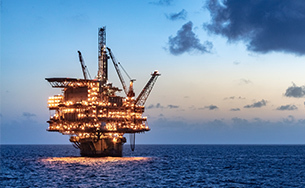 Total capital investment was $24.8 billion in 2018 and we have reduced our net debt by $14.5 billion since the end of last year, resulting in a gearing ratio of 20.3%. We are committed to maintaining a strong financial framework, focused on delivering our 2020 business aspirations, and look to increase shareholder distributions over time. 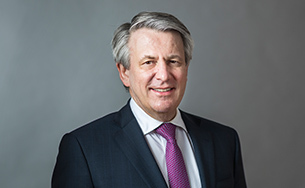 We remain capital disciplined and have set a capital investment range of $25–30 billion per year until 2020, including inorganic capital investment spend. [A] More information to be found in the 2018 Annual Report. [A] Excludes BG acquisition in 2016; historical BG capital investment is based on BG’s published Annual Report.